The interior of a grandly domed regally coloured film theater looms larger in wide-angle splendour as the lens tracks upwards. An opening salvo launches a powerfully depicted battle as bombs blast their targets asunder while men rip into each other like crazed animals. A British army major croons Hindustani with the harmonium in a strikingly odd moment of offbeat humour. And towards the finale, a lady dressed as a dashing action figure sprints atop a moving train in a dazzling fusion of her cinematic past and daredevil real-life present as the heroine who rises thrillingly to save the hero. These are some of the remarkable scenes in 'Rangoon' , the new film by Vishal Bhardwaj . Set in the closing years of British Raj in India, the good ol' love triangle is marooned supposedly near Rangoon where the jungles witness a battle between the British , Japanese and Subhash Chandra Bose's doomed Indian National Army (INA). Transpiring mostly in the woods and hinterlands where the armies clash, the film has nothing to do with Rangoon per se (the capital city of Myanmar known more in the past as Burma) but hey it's a catchy title so why scratch the head for more appropriate ones?! Miss Julia (Kangana Ranaut) is a flamboyant heroine of second-rate action flicks famous all over film-watching India for her swashbuckling on-screen adventures. Rising from a disadvantaged childhood, she is now set to marry the handsome movie moghul Rusi Billimoria (Saif Ali Khan) who seeks to escape the attachments of his first wife and a manipulative father. Julia gets dragooned into doing a show in Burma to entertain the soldiers of the British Indian Army. That's where her affections get increasingly intertwined with Nawab Malik (Shaid Kapoor) a soldier for the British Army and also a mole for the INA. Tensions erupt amidst Julia's shows when the British start suspecting and then eliminating these hidden INA freedom-fighters. What could have been a cracker of a film , with brilliant intertwining of warring groups, tortured romance and suspense in the formidable jungles-'n'-swamps of Burma, ends up merely as a fairly interesting tussle of small army units and troubled lovers. 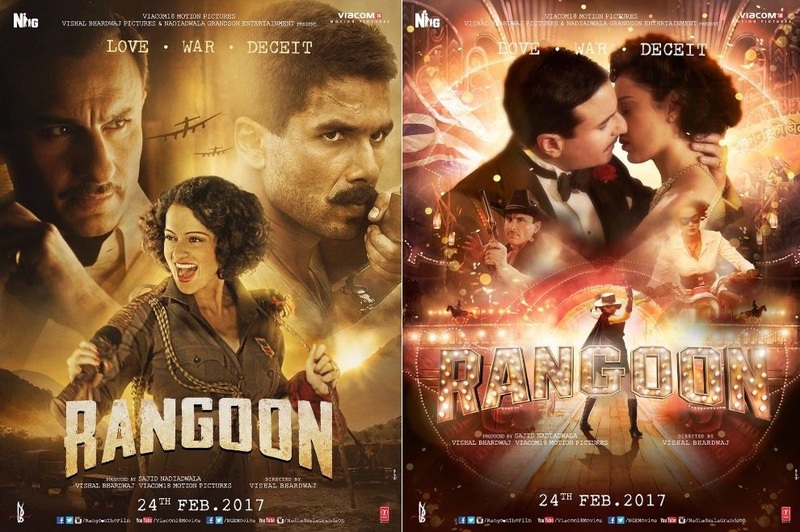 A script with great potential but with limited brains for crafting a truly superior thriller, coupled with Bhardwaj's uninspired direction, leave 'Rangoon' hamstrung. The three principal characters, however, make a better impression. Kangana Ranaut excels as the feisty Julia who effortlessly oscillates between light-hearted abandon and deep emotion. Julia does not hesitate to canoodle with another man though she's set to marry someone else but when the going gets tough, she takes the toughest of stands. There is subtle feminism even after she eventually leaves the scene, as the telling aftermath triggers a wholly unexpected transformation. Movie producer Rusi Bilimoria's world is rich, cosseted and guarded in Mumbai, and he cares a fig for the nationalist movement, but helpless in Burma's chaotic face-offs, with his sweetheart's affections towards him ebbing away, directly witnessing realpolitik and brutal take-down of the natives for the first time, and with the British army showing their full range of colours, it is not improbable to posit that his mind starts thinking differently. 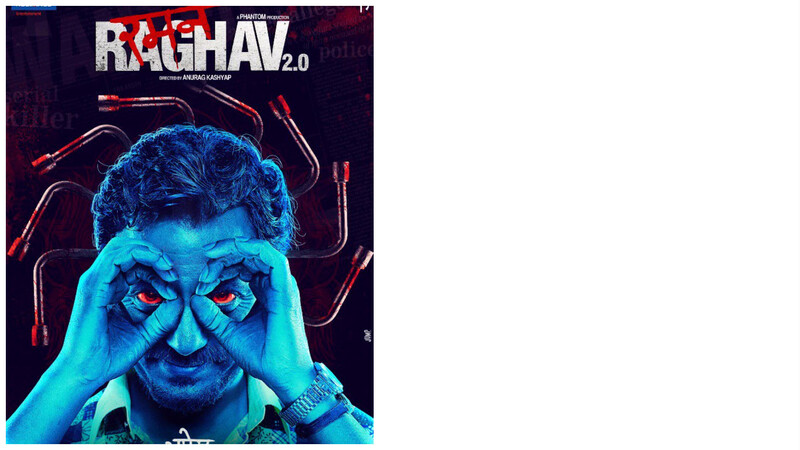 Saif is no great shakes here, but eventually and arguably, his role's arc does not tax credibility either. Shahid Kapoor, as the the braveheart Nawab Malik, simply but strongly essays a consistently tough and driven warrior, with inner shades of true heart and gumption surfacing at key moments. The track involving the captured Japanese soldier is designed to have comedic overtones, but care should have been taken not to caricature him, at least as a mark of respect to Japan which was the only country that agreed to help the Indian nationalist movement. The much-feted thespian Richard McCabe's interesting role of a Indo-phile British army major is also inadequately realized. Stronger shades towards the finale redeem the character somewhat, but earlier in the film, the character would have been better served by a glint of toughness woven into his benign avuncular almost clown-like demeanour. Dialogues often sparkle. The last line directed at the Japanese soldier seems simplistic but is actually profoundly humanist. When Julia laments in front of Rusi by using gently wistful rhetoric, he smiles wryly and says "I did not realize how mature you've become". Major Harding issues a genuine zinger when he rues how "Tagore's beautiful song has become the anthem of so doomed a cause as that of the INA's". But when he declares "When the British leave India, this country will become one of the world's most corrupt societies" , there is sadly no one to counter that preposterous hypocrisy by riposting "When British have left India with a literacy rate of 12 % after 130 years of "governing" the country, what else do you expect to happen in the initial stages?" The climax with its devil-may-care shades of incredible action powered by love, loss and patriotism, transcends banal things like credibility - it is a much-needed last hurrah in a tale crying for one. But such mundane things as consistent technical polish are not in abundance in the film overall, with some action sequences' flaws ranging from flickering frames to sub-optimal special effects. Pankaj Kumar's long-range shots are admirable but that same quality is missing in close-ups and camera movement. Paring the runtime from the actual 154 minutes to a snappy 120 would have been smarter, but tight editing is not Bhardwaj's forte. He continues to consolidate his reputation as one of India's most versatile directors, but unwittingly not yet as one of its best ones.